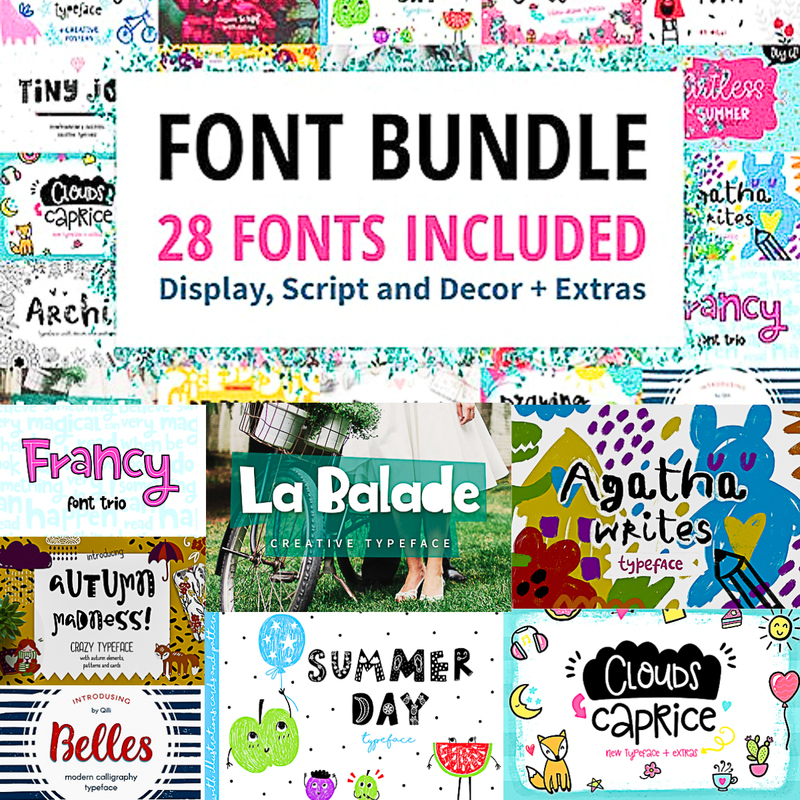 Introducing amazing Font Bundle with 28 fonts and lots of extras. File format: .eps, .ai, .otf, .ttf, .woff for Photoshop or other software. 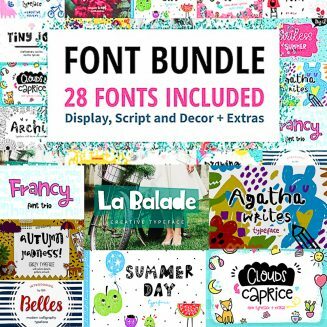 Tags: brush script, child, display font, extra, font bundle, font collection, hand drawn, hand lettered, hands, lettering, logo font, romantic font, rough, script, summer, wedding font.